Is DNS service port 53 blocked? I had created rules for inbound port 53 TCP/UDP but seem like it cannot be opened. same problem here, can't open port 53. fuk! too many restrictions here, enough for me, I'm moving to Google Cloud now. 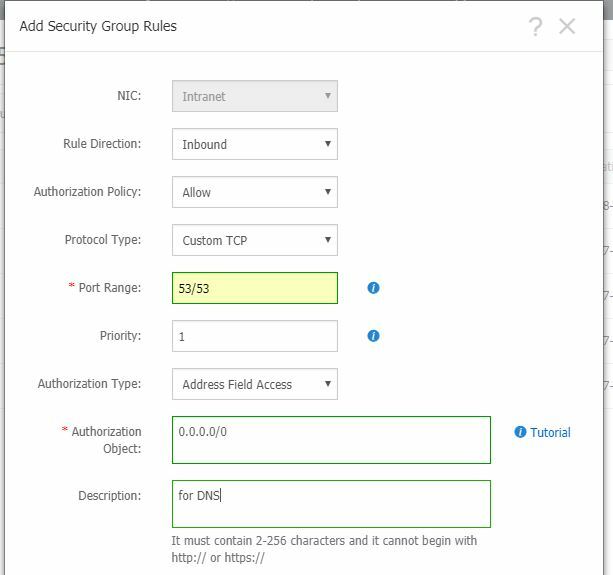 I am able to add security group rules for an ECS instance.